Legal aid programs, including those run by nonprofits, universities and other sources, offer free or low-cost legal help for the poor. Many legal aid offices offer help with last wills and other estate-planning measures. Like any lawyer, a legal aid attorney will ask you for information about your assets and liabilities, children and other family when you make a will. Legal aid offices provide assistance on civil legal matters for those who cannot afford to hire an attorney. Although many organizations run legal aid offices, the largest is the nonprofit Legal Services Corporation, which oversees 136 independent legal aid offices throughout the United States. Those who need to make a last will or other estate plans, but who cannot afford an attorney, may qualify for legal aid. The Legal Services Corporation maintains a database of legal aid offices at its website (see References). Through the database, you can find legal aid offices near you and check their individual websites to see if they offer information on estate planning and last wills. Phone numbers for your state's legal aid offices are also printed in your local phone directory. Finally, you may be able to find information about legal aid offices that handle last wills by contacting your state's Bar Association. A legal aid attorney can help you with any issues relating to your last will that you would otherwise bring to a private attorney. For instance, a legal aid attorney can answer any questions you have regarding how to leave your property to your chosen beneficiaries, what to look for in an executor and how to provide for your children if you pass away before they reach adulthood. A legal aid attorney may also be able to draft your last will for you, and ensure that your will contains all the required signatures and other information to be a legal will in your state. In addition to providing attorney help with last wills, many legal aid offices keep a reference library, either in print or online, that contains information about how to prepare your own will. For instance, Maryland's Legal Aid offices have a partnership with The People's Law Library of Maryland that allows both organizations to offer free information about how to prepare your last will in Maryland, as well as how to probate a will in Maryland. Your local legal aid office can tell you what materials it has available and how to access them. Does Legal Aid Help With a Divorce in Florida? While you don't have the constitutional right to an attorney in civil trials, such as a divorce, many states encourage attorneys to help those who cannot afford a lawyer. In Florida, several organizations work with funding from the government or donations from individuals to connect eligible low-income clients with attorneys. These lawyers may be able to assist you with your divorce free of charge or for a small fee. You need neither legal language nor formalized procedure to ask if you inherit under a will; who and how you ask depends on the stage of the proceedings. A will is a person's written expression of her intentions for her property after death. The testator names heirs, an executor and one or more guardians for her minor children in a last testament. After her death, the executor takes over the property, opens probate and prepares the estate for distribution. 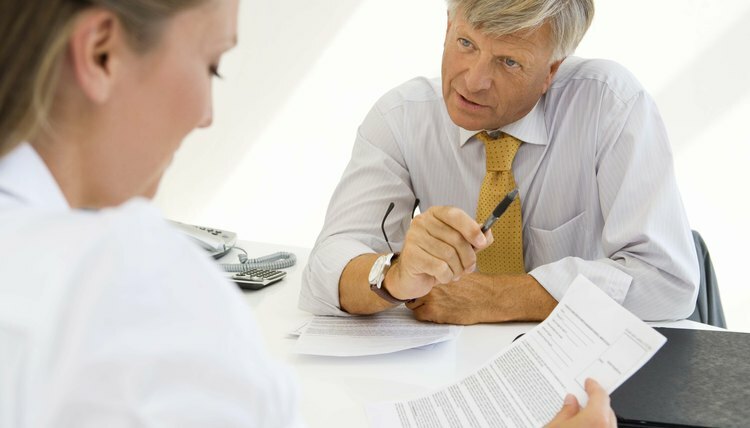 What Kind of Lawyer Do I Need to Make a Will?